Home / Jay-Z / Kanye West / Music News / Watch the Throne / Jay-Z & Kanye to Hit the Stage During the VMA's? 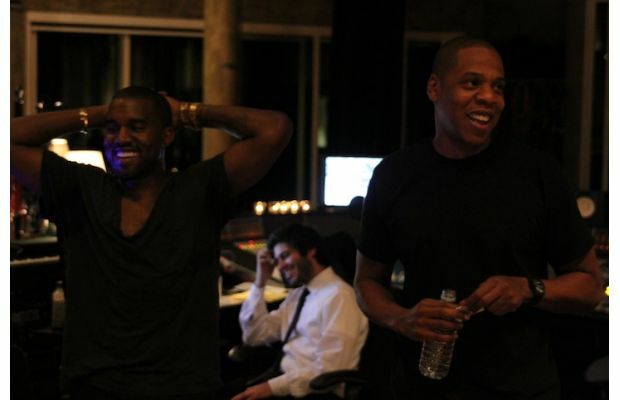 Jay-Z & Kanye to Hit the Stage During the VMA's? Word in the blogosphere is that Jay-Z and Kanye West are getting up off their big thrones to perform at tomorrow's VMAs! Who knew the two hip-hop superstars were even coming to this year's Moonman shindig. Mark Malkin from E! says "When I was down at Nokia Live on Thursday to get a peek at the seating arrangement, there were no placards for Jay-Z or West." I'm told most of the MTV crew and production team don't even know yet when they'll actually take the stage during the show. What song do you guys want to see them perform? What if they bring of Frank Ocean! ?